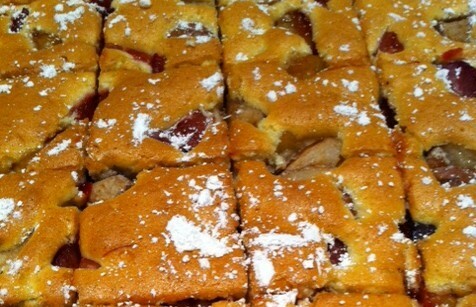 The sweet smell of fruit and butter lingers in the air long after this cake has been removed from the oven. Many times over the years I baked it when I wanted something easy and delicious. This cake is a perfect companion to tea. Thanks to my sister for the recipe. In my old-fashioned, hand-written Hungarian recipe book, it’s the first entry. Only six lines – ingredients and instructions together. Preheat the oven to 180 °C (350 °F). 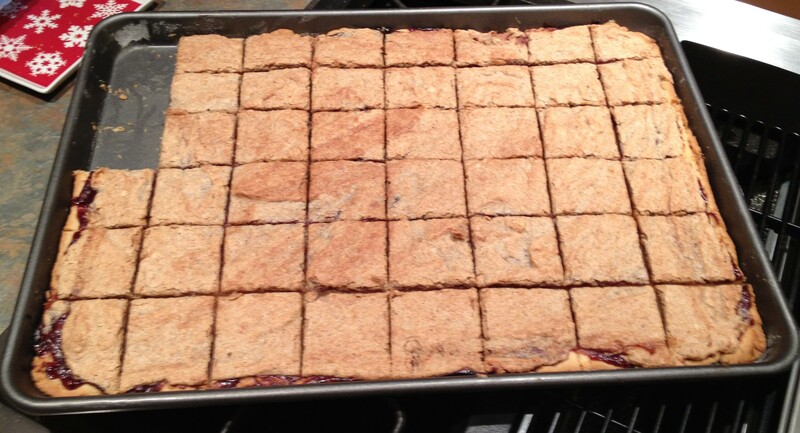 Butter a jelly roll pan and dust it with flour (or line it with parchment paper). Cut the fruit into bite-sized pieces if needed and lightly coat them with flour to prevent them from sinking deep into the batter. In a large mixing bowl, cream together the butter and sugar until fluffy. Add the egg yolks. Mix well. Slowly stir in the milk, flour, baking powder, and vanilla sugar. You may want to alternate mixing in the milk and flour. In another bowl, beat the egg whites with a pinch of salt until stiff and carefully add to the egg-butter-flour mixture. Pour the batter into the prepared pan. Arrange the fruit on top of batter. Bake for 40 minutes. Cool in the pan. 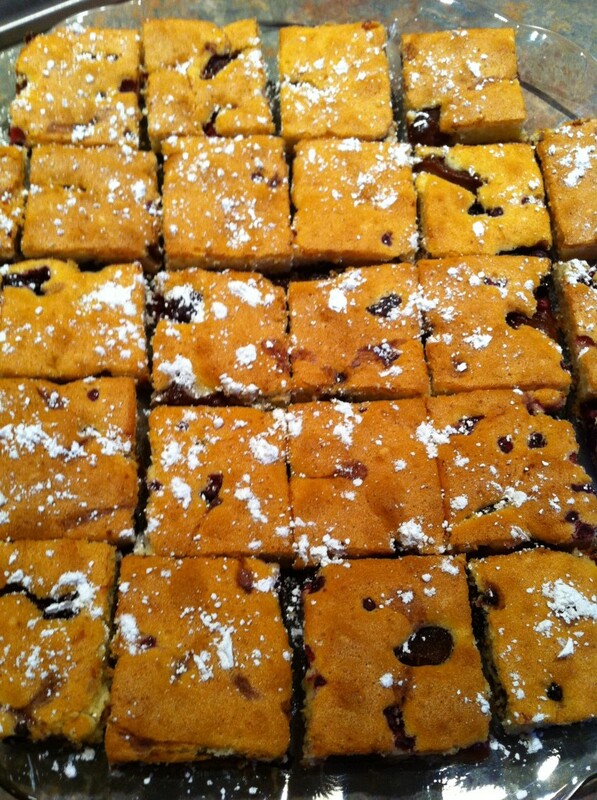 Slice into squares and dust with powdered sugar if desired. Makes 24 squares. A gyümölcs édes illata jóval azután is érződik a levegőben, miután kivettem a süteményt a sütőből. Az évek során sokszor megsütöttem már ezt a piskótát, főleg ha valami egyszerűt és finomat szerettem volna, tökéletes kiegészítőt egy jó csésze teához. Köszönet a hugomnak a receptért. A régimódi, kézzel írott receptes füzetemben ez az első bejegyzés. Csak hat sor – hozzávalók és utasítás együttvéve.